I won’t pretend this is my best album. It is perhaps interesting, particularly seeing as all the pieces feel like scraps floating in a dark well. There are some intersting textures in here. This is the street I lived in at the time in the suburb of New Farm, Brisbane looking down to the Storey Bridge, early evening and then night time. I was only about 10 minutes walk from the nightclub precinct which gave the location a buzz. Many of the tracks have an after-dark vibe to them so I felt this was a good name. 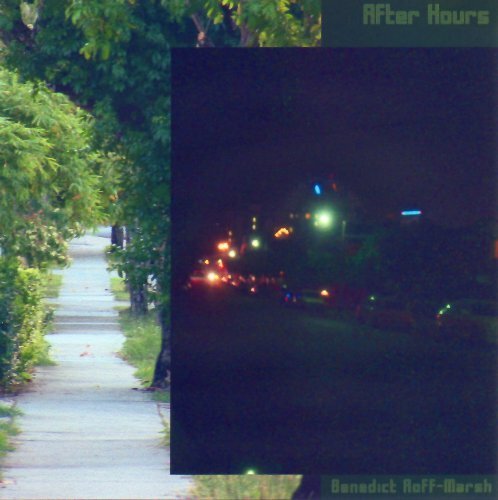 After Hours was the first (and so far only) album of mine to use a photo cover. Sadly I think the cover never really worked out and I should have accepted this at the time and used something in my usual style/method. The new cover you see, I think for more fitting. Highland was based in part on the idea of bagpipes. I remember them being explained to me as having a drone which is set to specific note then the other notes are played around this. The simplicity appealed to me and I have many times played with that idea. I thin this piece turned out sounding pretty big. I am an idealist so the idea of Swapping Old Dreams For New appeals as a solution to broken dreams. It is common for people to move from one hope to another without any real outcome or resolution so this track carries a lot of melancholy.